If your pet is experiencing any of these issues, it is probably time for a trip in to see us. Don’t hesitate to let us know, as we can often help. The trouble with pet skin problems is that many different issues can appear very similarly in our patients. That is why it is important for us to examine your pet when he or she is having trouble, so that we can get to the bottom of things and treat more effectively. Parasitic infections – Fleas are the most common offenders when it comes to itchy, uncomfortable skin in pets. Even if you aren’t seeing these nasty little buggers, they can still be an issue. Pets can also be affected by other skin parasites like lice, mange (skin mites), or ear mites. Bacterial or yeast dermatitis – Overgrowth of microscopic organisms that normally live on the skin can lead to itching, hair loss, scales, and other issues. This can occur secondary to another issue, such as skin allergies, thyroid imbalances, or immune problems. Food allergy – Some pets may exhibit sensitivities to certain food ingredients with skin problems. Often the offending food is a protein source and must be determined by a strict hypoallergenic food trial. Atopy – Atopic dermatitis refers to a condition in which the skin is prone to developing sensitivities to (often multiple) environmental allergens. 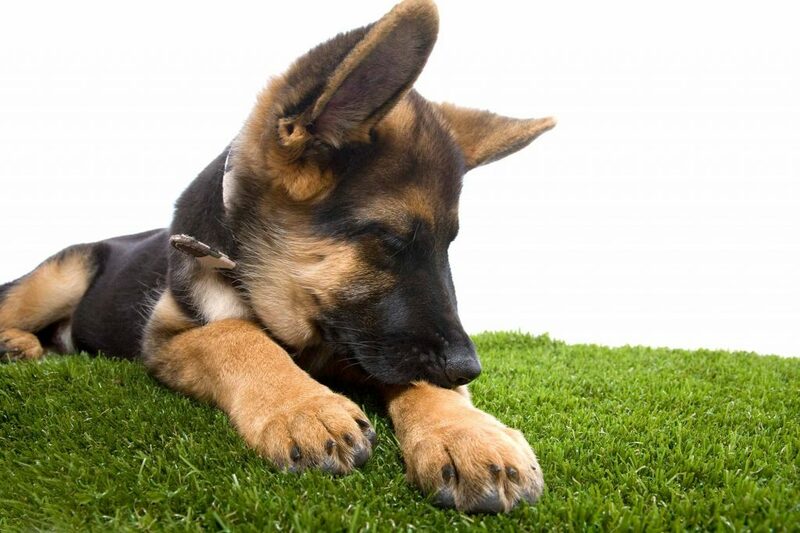 Atopic pets may have allergic flares secondary to dust, pollens, grasses, weeds, and many other things. Contact dermatitis – Contact with irritating substances, such as chemicals, detergents, or perfumes can cause skin issues in some pets. If your pet is experiencing skin issues, we will likely recommend an examination and diagnostic tests in order to try and determine what the problem might be. If your pet is very itchy or has visible redness, sores, or other skin abnormalities, it probably best to get him or her in to be seen. Skin problems in pets can worsen very quickly, and we are usually able to treat most effectively when we see them early in their course.